I loved photographing this Washington DC wedding tea ceremony which allowed the bride and groom to honor their parents and grandparents! Washington DC weddings are as diverse as the many couples getting married in the DC area. With a large Asian population, Korean, Vietnamese and Chinese tea ceremonies are often celebrated during the wedding in order to honor these cultural traditions. During the tea ceremony, the couple will present their elder relatives with tea as a sign of respect. Sometimes prior to the tea ceremony, they might changed into a more traditional style of dress that is incorporated with the ceremony. 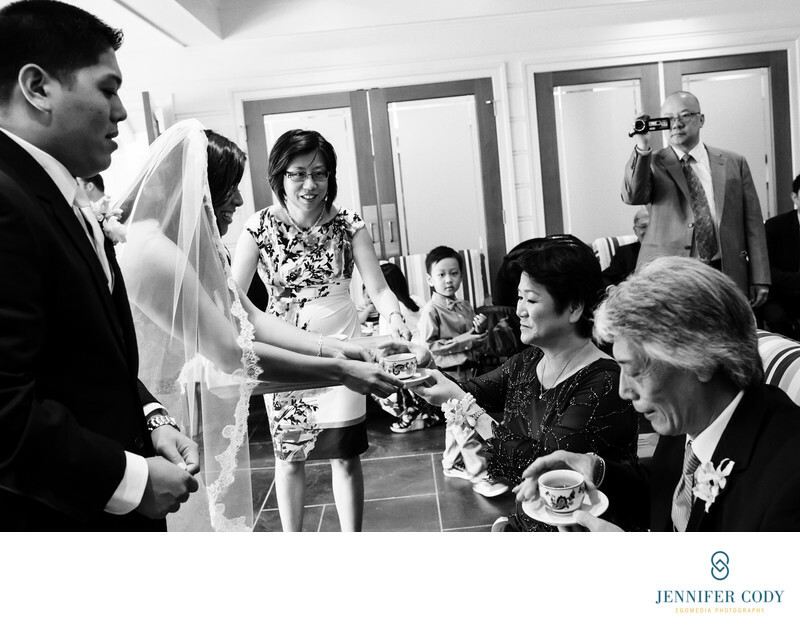 I really enjoy photographing events like the tea ceremony because it's an opportunity for me to create beautiful documentary images of an important milestone in the life of each couple and their families.